My painting Reflection/Refraction, No. 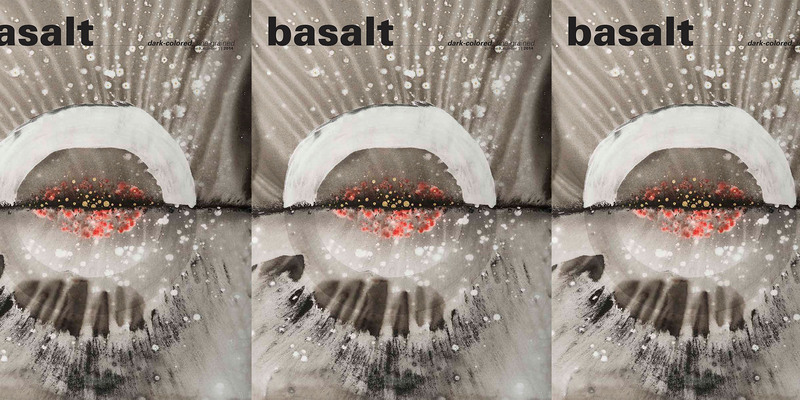 1 (2014) is on the cover of the 2014 issue of basalt: a journal of fine and literary arts. But that's not all! They have also published a set of images of my paintings and books made with meteorites and meteorite dust. In addition to this portfolio, Timothy C. Ely has contributed an essay about my meteorite-based work titled "With Forces Older than Our Sun." My thanks to Timothy and the editors of basalt for such a wonderful gift!